by Hilton Hater at June 28, 2017 10:54 am . It sounds like someone forgot to tell Beyonce and Jay Z to catch up on their sleep prior to welcoming their twins into the world. Following several months of waiting, the superstar artists are now the proud parents of a reported boy and girl, both of whom were born some time this month. Very few details are available because Beyonce and Jay Z are maybe the most private members of Hollywood's A-List, but multiple reports have confirmed that the twins were finally released from the hospital last week. They had been kept under doctors' supervision for several days due to a minor medical issue related to their premature birth. As far as we've been able to gather, however, the kids are going to be just fine and are now resting comfortably at a rented home in Malibu with their parents. Although, according to a bombshell new report, no one is doing much resting at all. "Despite all the help they are receiving, Jay is still pitching it so that Beyonce has total support. "Neither Beyonce, nor Jay, have been able to enjoy an entire night of sleep since the twins arrived. "They are totally exhausted, but at the same time have never been happier as a family." Wow. 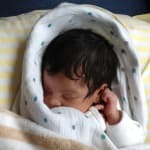 Beyonce and Jay Z are very tired and very happy after several days at home with their newborns? That's amazing. We never knew we had so much in common with these global icons. Then again, based on where Bey and Jay re living right now, perhaps we don't have all that much in common. Beyonce did a lot of work in giving birth to the twins, but this same source explains to Hollywood Life that Jay Z is intent on doing his part now that he can. 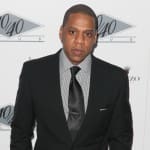 "Jay Z is on super dad duty, as he has been completely hands-on with the new babies, helping with late night feedings, burping, and also changing diapers. "But Jay hasn’t stopped there, he has also been spending a ton of time with Blue during the day and their relationship has grown since the new babies arrived." With all the excitement surrounding newborns, it can be easy to forget about the older child sometimes. But Blue Ivy is only five years old. She still requires love and attention from her parents. So we're very glad to hear that she's now receiving it. And we're very sorry to hear that Beyonce and Jay Z aren't getting a lot of sleep these days, but things should calm down at some point. In the meantime, we're awaiting various details on the twins, from their measurements... to actual confirmation that one is a girl and one is a boy... to their names. We still have no clue what Beyonce and Jay Z have chosen, although we're heard some powerful rumors. We've also come up with a few ideas ourselves. What do you think of these below? Beyonce Baby Names: What Could They Be?! ?